Home Cannabis News and Updates	How many people die from alcohol, cannabis, and cigarette smoking? How many people die from alcohol, cannabis, and cigarette smoking? Some people oppose the legalization of cannabis and hinge their argument on the dangers of using the drug. There are also those who would insist that cannabis is just as harmful to one’s health as alcohol and tobacco. But are these three substances really on equal footing? How many people have died from drinking alcohol, smoking cigarette, and using cannabis? According to the World Health Organization, 2.5 million people around the world die every year due to the harmful use of alcohol. Of this number, 320,000 of these are young people aged 15 to 29 years old. In its Global Status Report on Alcohol and Health, the WHO also said that drinking alcohol also causes injury and illness to millions more, as well as increasingly affects the younger drinkers in developing countries. The WHO report also noted that almost 4% of all deaths are related to the consumption of alcohol. Most of these alcohol-related deaths result from injuries, cardiovascular diseases, cancer, and liver cirrhosis. Moreover, the report pointed out that the harmful use of alcohol is one of four common risk factors for the four main groups of NCDs or non-communicable diseases, along with poor diet, lack of physical activity, and tobacco use. Additionally, alcohol is the third largest risk factor for disease burden and is the number one risk factor in the Western Pacific and in the Americas and the second largest risk factor in Europe. In the United States, the National Institute on Alcohol Abuse and Alcoholism reported that an estimated 88,000 people die from alcohol-related causes every year. This makes alcohol the third leading preventable cause of death in the U.S., next to tobacco and poor diet and physical inactivity. The NIAAA report also noted that in 2014, alcohol-impaired driving fatalities had accounted for nearly 10,000 deaths — which is 31% of overall driving fatalities. It also said that alcohol poisoning kills six people each day and teen alcohol use has caused 4,700 deaths each year. According to the U.S. Centers for Disease Control and Prevention, cigarette smoking causes more than 480,000 deaths every year in the United States. This is about 1,300 deaths every day or one in five deaths annually. Moreover, the CDC noted that 16 million Americans are suffering from diseases caused by smoking. Smoking, it said, causes heart disease, cancer, stroke, lung diseases, chronic obstructive pulmonary disease, and diabetes. The CDC also pointed out that, worldwide, tobacco use is responsible for nearly 6 million deaths annually, and that, according to current trends, tobacco use will cause more than 8 million deaths per year by 2030. 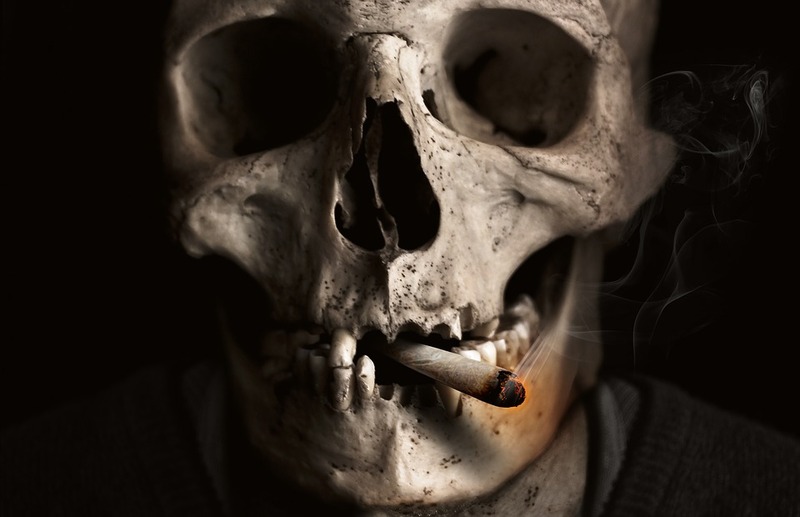 On average, it is estimated that compared to non-smokers, smokers die 10 years earlier. Nobody has died from overdosing on marijuana. A California study found that cannabis users died no sooner than those who are non-users. It needs to be noted, however, that while cannabis can impact physical and mental health negatively, it is not deadly like tobacco, alcohol, and other drugs. You know what is ironic, though? It is the fact that out of all three substances, marijuana is the one that is illegal in most countries, as well as illegal in the United States at the federal level. 6 Days. That’s how long cannabis can stay in breast milk. Elon Musk smokes weed during interview and Tesla is taking a beating for it? Can cannabis promote weight loss or weight gain?